Mr. and Mrs. Butterfield get a dog, but they're clueless about how to train or exercise him, or play "fetch" with him. 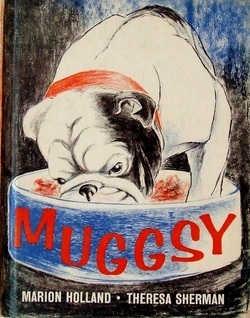 Lonely and bored, the dog--Muggsy--becomes listless and uninterested in his dinner. Luckily for Muggsy, four-year-old Peter from down the street is also looking for a friend. MUGGSY is represented by McINTOSH AND OTIS, INC.